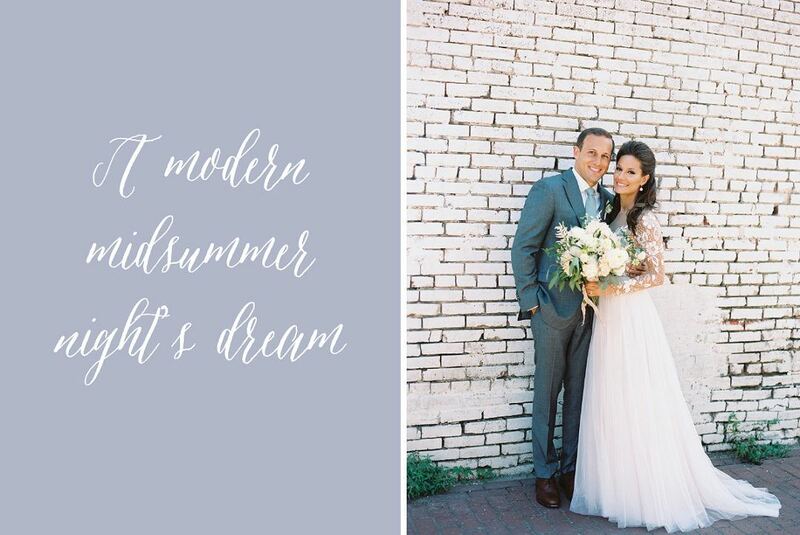 In the heat of the summer there’s nothing more refreshing than a light and airy wedding. 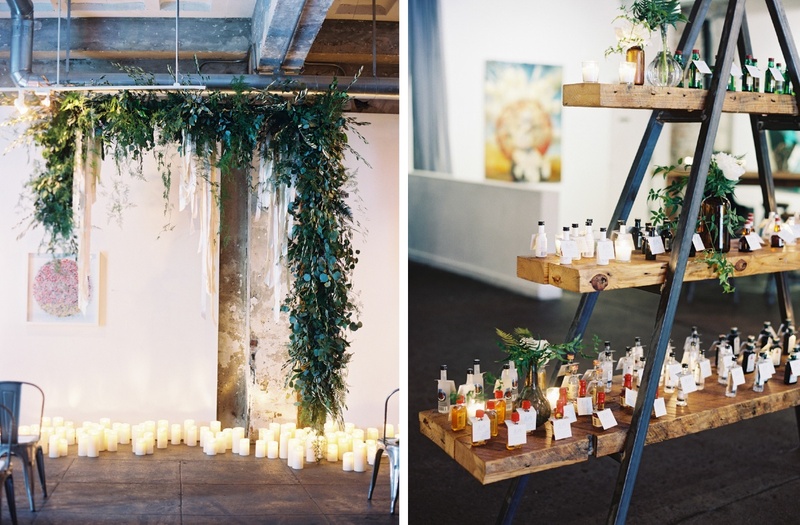 This Lauryn Prattes Events designed wedding hits that to a tee! From the greenery-laden Amaryllis arrangements to the bright Edison light bulb bar, we’re floating in a modern Midsummer Night’s dream. Cheers Darling Events planned this Long View Gallery wedding to perfection, and Lisa Ziesing captured every beautiful moment. 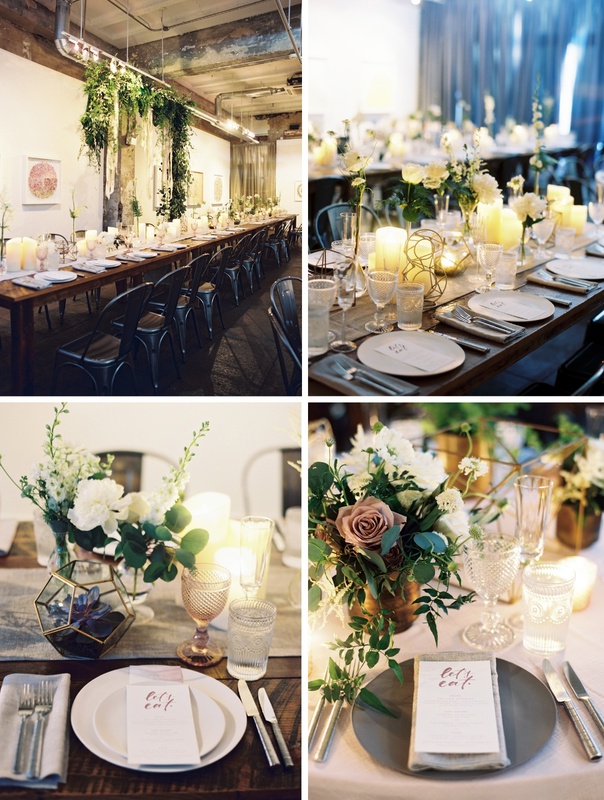 Combining linen-inspired fabrics, such as our Poetic Blossom Tuscany and Flax Metallic Burlap napkins, and exposed wood tables with lovely decor from Something Vintage Rentals, there was a rustic touch to the night that was balanced out with sleek glass and brass elements. 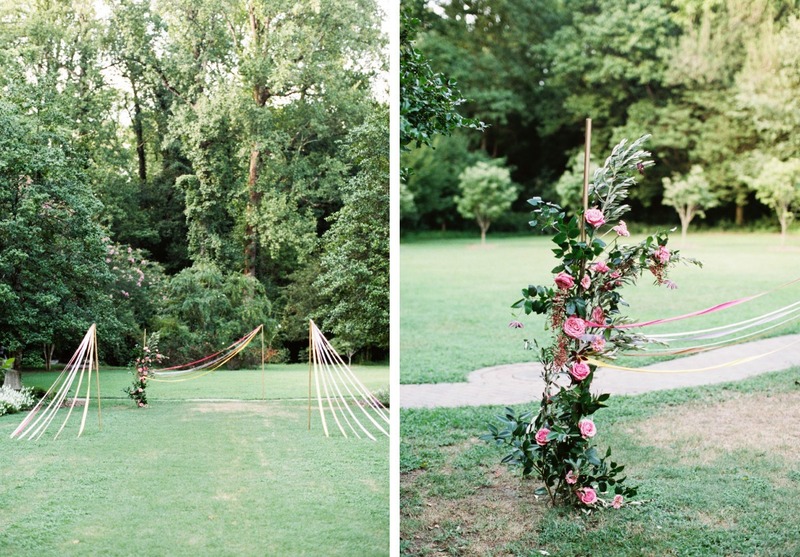 This DC wedding, from start to finish, was just the summer refreshment we were looking for! Spring is here and Charleston, SC is in full bloom with bougainvillea and magnolias covering the town. 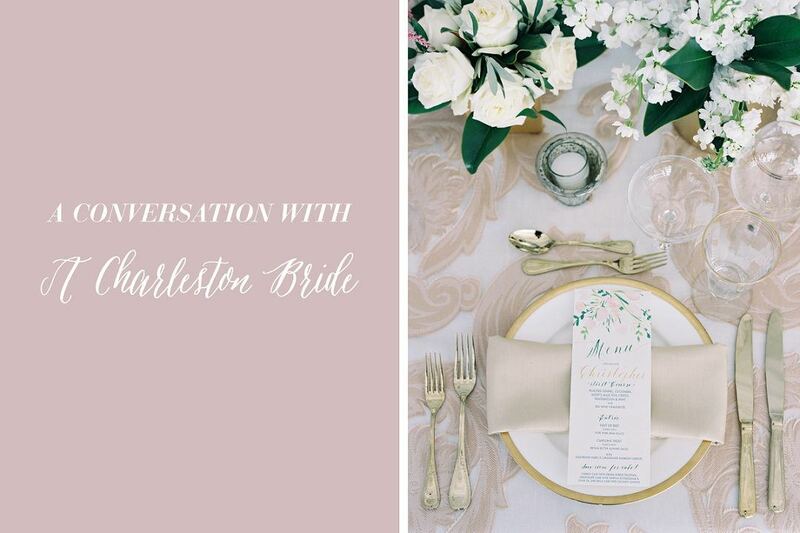 In other words, it’s the perfect time of year in one of the most beautiful cities of the U.S. and A Charleston Bride is hard at work producing another dream wedding. 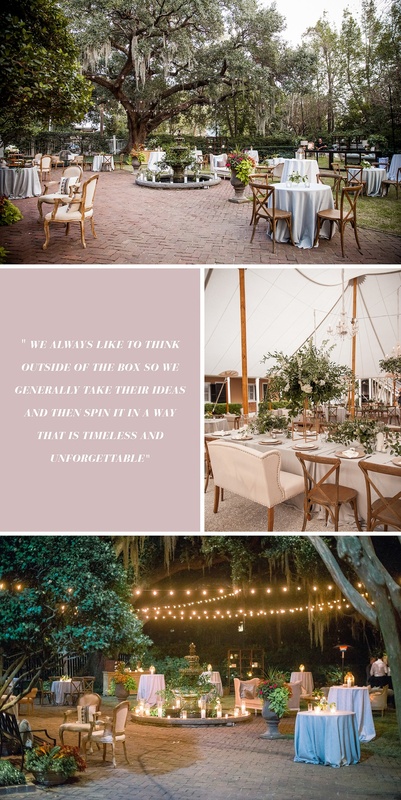 Between designing and coordinating, we were able to sneak in some time with this all-star team of women to hear what it’s like to create gorgeous weddings for lucky couples in Charleston. Scroll through to hear from Abby, Amanda, Haley, Lindsay and Melissa and then probably go ahead and book a flight to their gorgeous town and explore it for yourself! Nüage Designs: Tell us your story –how did you begin designing and planning weddings and events? 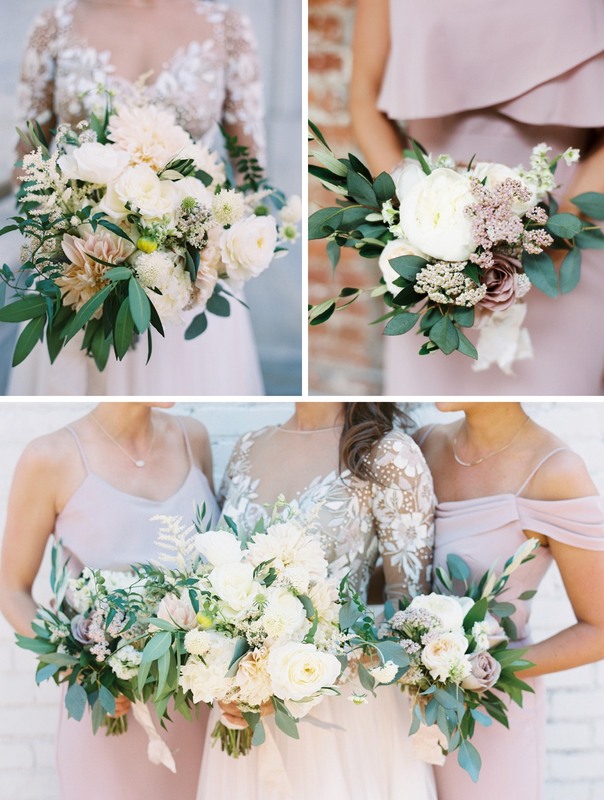 A Charleston Bride: [Melissa Williams] In 1999, I worked for a real estate development company as an assistant leasing agent. Part of my duties were organizing and planning quarterly broker parties at their properties. This led to newly engaged friends inquiring about various vendors while planning their weddings. In 2001, I created a website with stock wedding photos and planned 6 weddings the following year! Fast-forward 15 years, and A Charleston Bride has planned over 400 weddings!! ND: Your designs are always so unique from each other, where does this inspiration come from? ACB: [Lindsey Shanks] The overall inspiration for us really needs to start with our clients. We try to hear about them, learn their style, learn their overall spirit and go from there. It’s like putting all of your ideas on a big white board in your mind that make up their event and then organizing it so the client can translate it from there! ND: Charleston is a gorgeous place with so many special characteristics. How does the city play in to your aesthetic, designs, etc.? ACB: [LS] The backdrop of the city provides an historic and romantic base for almost all our designs. The natural beauty of the landscape from flowers to the moss covered trees next to an antique antebellum home. It’s certainly why most brides chose the city [for their wedding]. ND: You never double-book weekends with clients, how does this exclusivity foster the planning relationship with your couples? ACB: [Haley Kelly] We only take one wedding per weekend for a few reasons! One – we want to be fully focused on that particular couple. We want to be at the ceremony rehearsal and all-in mentally and physically on their big day! It would be impossible to do that being responsible for more than one wedding [in a weekend]. Two – for the majority of our clients, we are involved with the entire wedding weekend – a welcome party, rehearsal dinner, brunch, etc. so we like to be available for them first and foremost! ND: How is the collaboration process with your clients? ACB: [LS] The collaboration is certainly mutual, as we want our clients to feel involved and reflect their personal style. Obviously, it’s great when they have full faith in our design direction, but of all the components they want to stay out of, I don’t think this is it! They want to hear their story from us and to be involved and excited. As a designer, I want them to be prideful and pleased with their wedding design. This only occurs when we find the sweet spot between our lofty goals and their dreams. 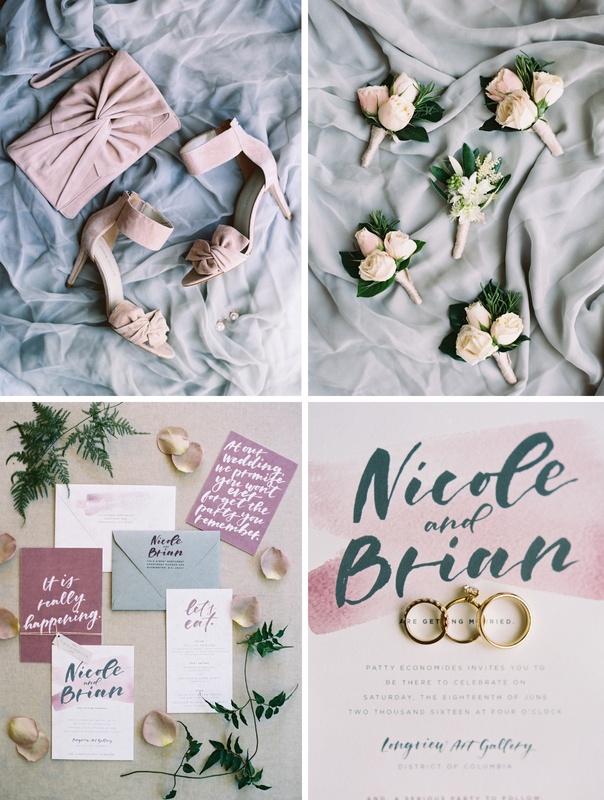 We start with a shared Pinterest board with texture and style inspiration and ask lots of questions about their story, style, and vision. We then take that information plus what we know of our locations and their overall budget, and go from there. ND: Do you ever find it difficult to push clients towards what they might see as an “edgy” design? ACB: [HK] We try and get to know our clients very well. So, usually before going into a design meeting, we know how much we can push them into an idea and in what areas they are willing to budge. We feel like we are doing our jobs when we pitch new and fresh ideas – hopefully of things they have never seen before! But yes, pushing clients beyond their comfort zone is tough. However, we have been lucky to have great clients who trust us explicitly which has resulted in so many amazing and unique events! ND: What are some of your trademark styles? ACB: [LS] I would like to think our trademark is to never repeat something from the past or another wedding. Let it be part of the inspiration, but make your wedding your own. 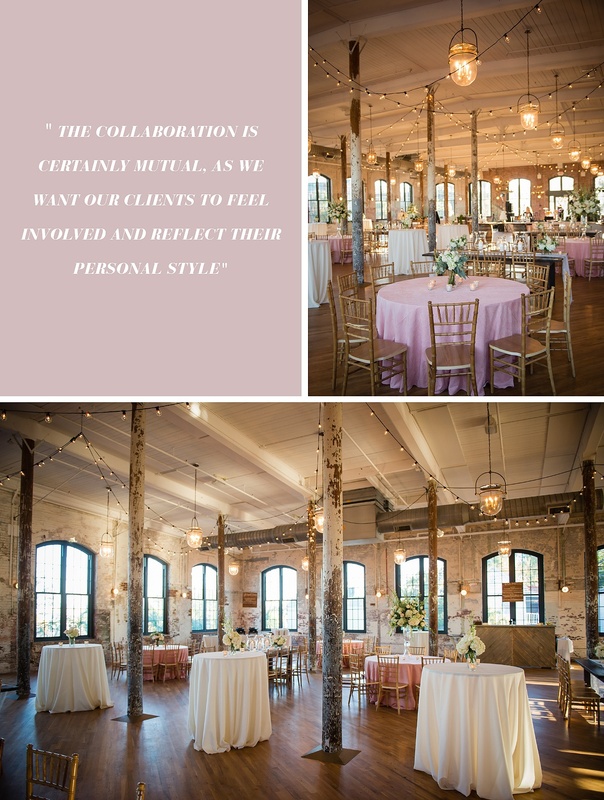 We actually had one of our peers, a highly respected planner here in Charleston, give us the best compliment; he said he loved our designs because they were not only logistically feasible, but clean and unique. It was great to hear! ND: What is your advice to couples coming to you with a “trendy” design in mind? ACB: [HK] We always like to think outside of the box so we generally take their ideas and then spin it in a way that is timeless and unforgettable. We feel that usually we can sell it better if it is something different and makes them feel unique and special! 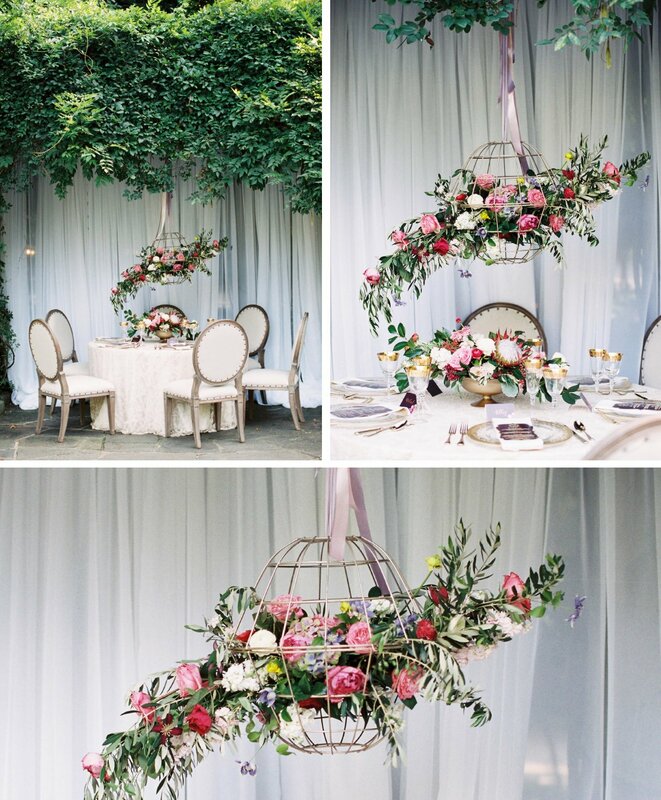 For example, they may love greenery runners but if they hear they can do a hanging installation over the head table dripping in lights that sounds like more fun! ND: If you could plan/design a party for anyone in the world, who would that be? ACB: [LS] India Hicks or Marchesa…. totally different spectrums, but both have deep appreciation for texture. [MW] Ivanka Trump or Reese Witherspoon. Both have great style. 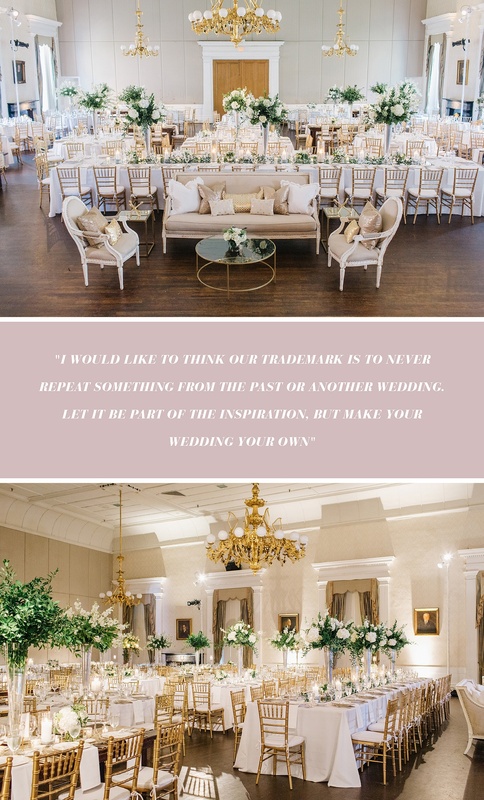 ND: What is your favorite thing about designing weddings? ACB: [LS] I call the wedding day “game day” because it feels like the big rally of a Friday night football game. Everything comes together and it’s truly magical to see ideas come to life! I love their reaction to it all the most! ND: Last one, because we have to pick your brain while we have you, what trends do you see for the upcoming wedding season? ACB: [LS] I think we are going to see a return to the ballroom glam. I think we will also hopefully see bolder and pronounced colors vs. so soft and romantic. [MW] I think copper is going to be the hot metallic for the next couple of years. ND: Any other thoughts that you’d like to leave us with? ACB: [MW] We always encourage our clients to relax and enjoy the planning process. Will it be stressful at times? Of course! But the wedding will be here before they know it and life and reality will set in. This is such a special time and one they should be able to look back on fondly. We hope that’s where we step in and really make a difference! 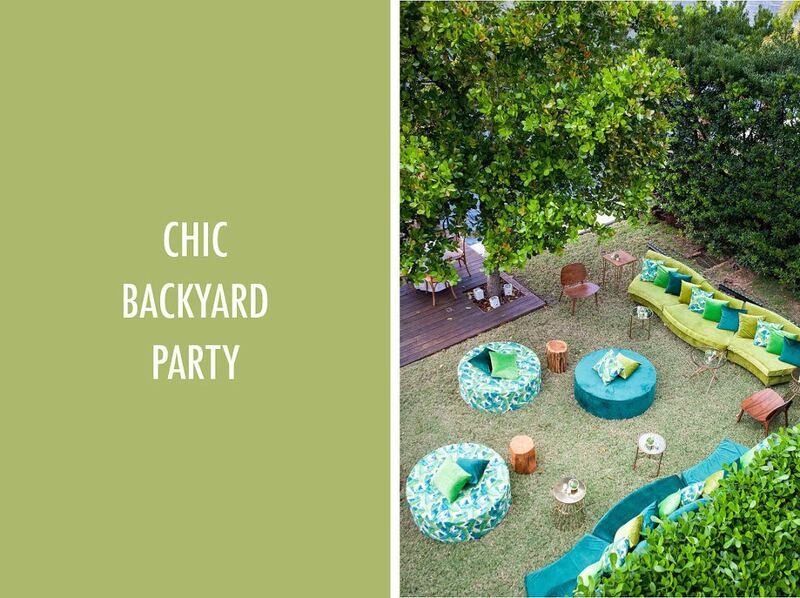 There’s no place like Miami, Florida for a chic backyard soiree and this J Group Events party certainly does not disappoint! Set at a lush private residence overlooking the water, this tropical-inspired party was the perfect backdrop to enjoy a cool cocktail on a hot night. Scattered throughout were high-top cocktail tables, their wood bases topped with upholstered tops in our Palm Springs fabric. 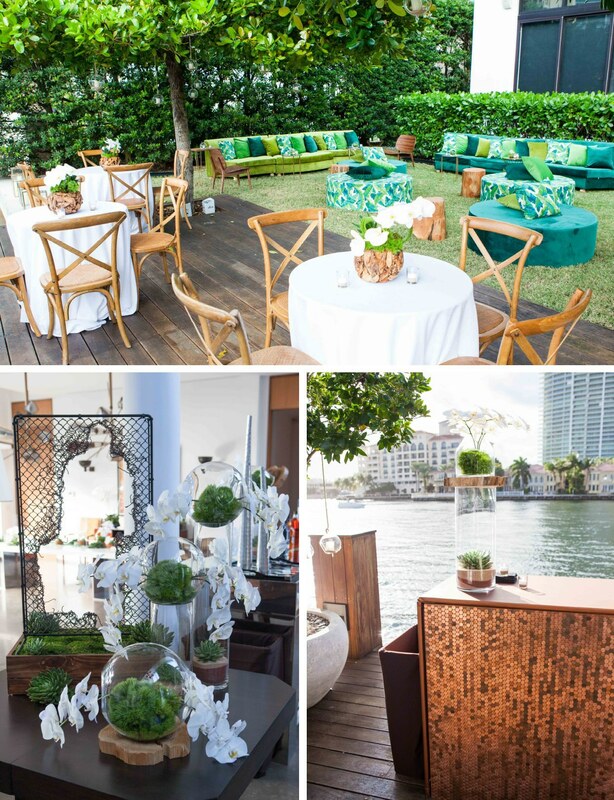 To give them a luxe touch, J Group Events paired them with copper metal cafeteria- style stools and modern white orchid arrangements. The lounge area was a mid-century inspired dream! Serpentine couches, in chartreuse and emerald green hues, and plush round ottomans in our Palm Springs fabric were accented with coordinating pillows in soft green velvets and palm leaf prints. Giving it that lavish touch, gold accent tables were interspersed with wood stumps and Eames-inspired lounge chairs. And then, just below twinkling candles floating from the trees, the piece de resistance was a copper penny bar with the front fully decorated with real shiny pennies! We’ll have a martini and a seat, come join us! Sparkle All Summer with our NEW Sequin Koi Collection! Summer! It’s here! And with it came sunshine and the hot hot heat for us to bask in. If you’re like us, you’re dreaming up ways to split your time between the ocean and the countryside this season, a.k.a. the best of both worlds. For us that means partying in our very own city of Miami and wander-lusting about in Tuscany. 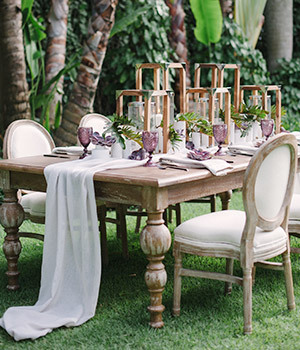 One of our favorite things to do as we venture out in the summer is dining with friends. So in preparation for that, we put together just the right looks for both cities to give any event that summer shine. 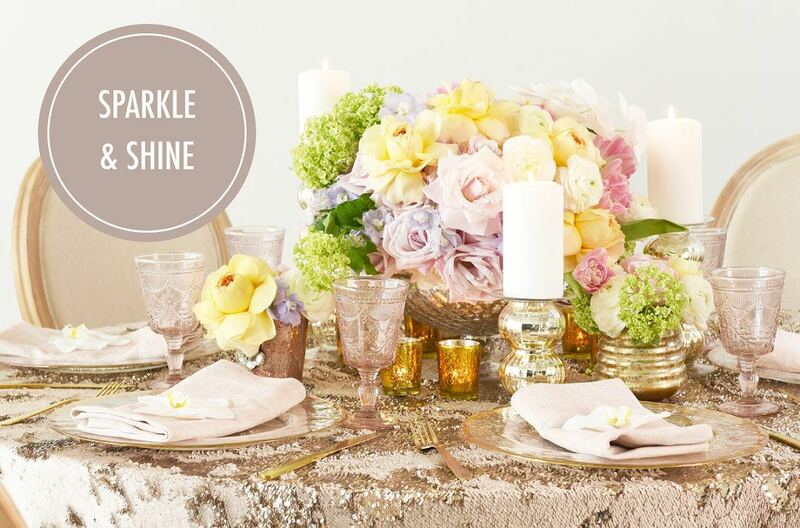 Scroll through to get that summer sparkle on point this season! 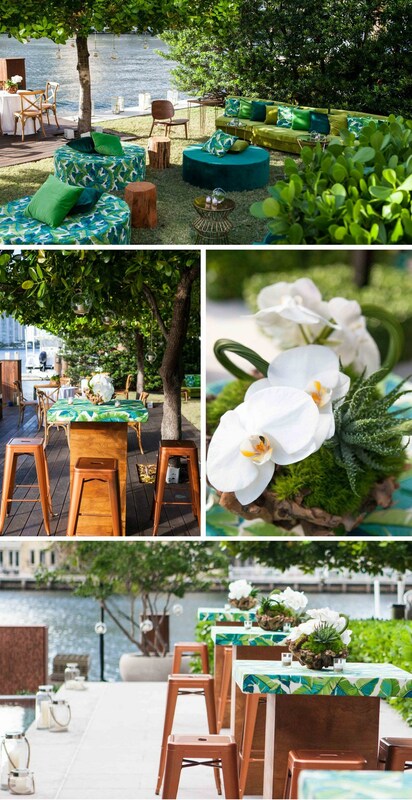 Elevate your outdoor party with optic whites and bright golds using the White and Gold Koi linen as your base. Compliment natural wood tones with delicate blush accents and a touch of shimmer with the Beige & Gold Koi linen. We can’t wait to celebrate the summer with you, buon viaggio! 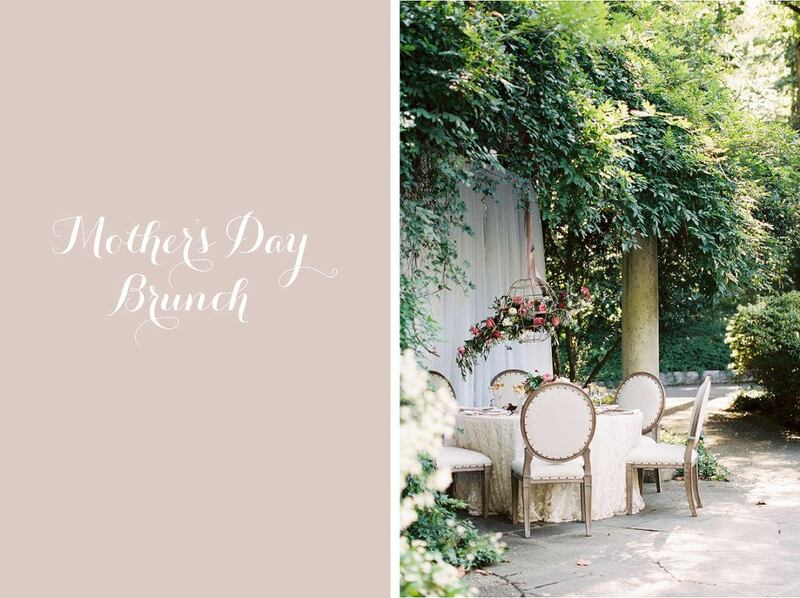 With the flowers in bloom and the weather looking just perfect, we are so excited to celebrate Mother’s Day outdoors this year! 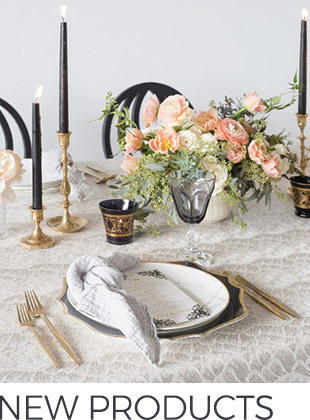 We’ve been looking for the perfect inspiration to set the mood for our upcoming brunch and found it with Lemiga Events! 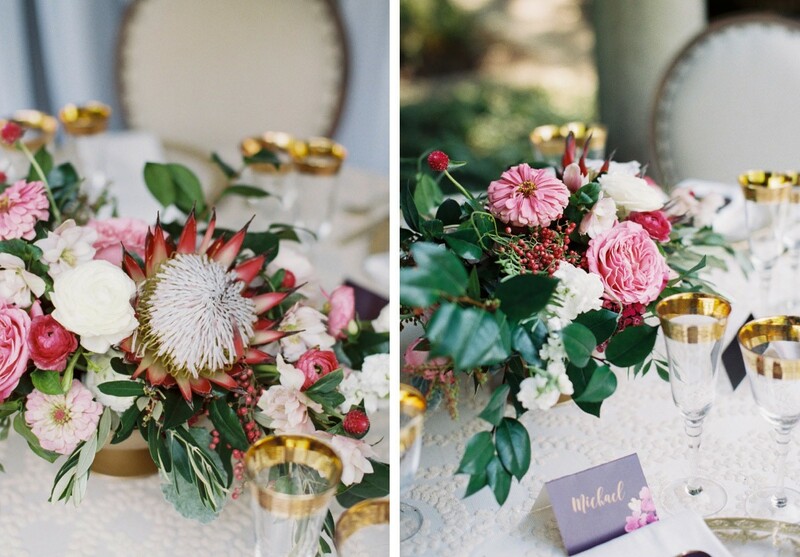 Set at the fairytale-like Cator Woolford Gardens of the Frazer Center, this styled shoot, shot by Noi Tran, is everything we were dreaming of! 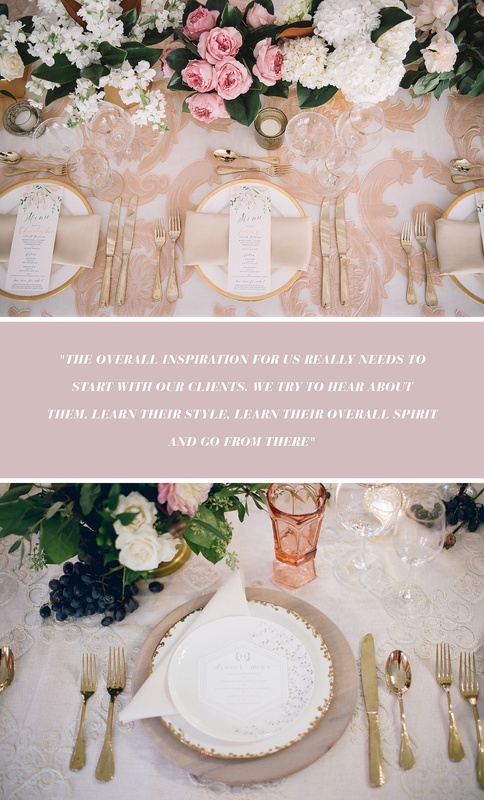 From sharing a bubbly cheers under Juli Vaughn’s bright colored floral arrangements to sharing a rustic-inspired seat from Event Rentals Unlimited, the setting could not be more perfect. 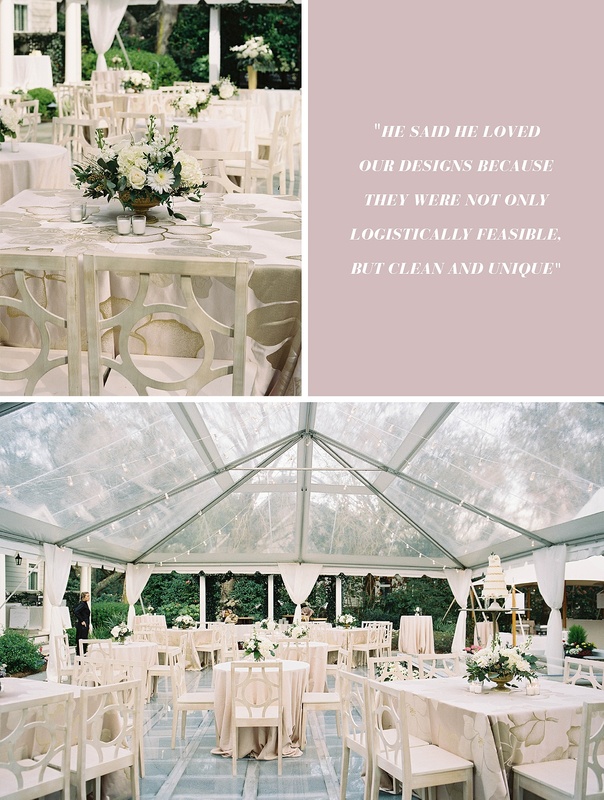 We love the neutral palette on the tablescape, in sweet shades of blush and ivory, with a touch of sparkle from the Sultry Beige Dora overlay and a hint of gold on the magical Papered Wonders menus. But best of all, when we’ve eaten to our hearts content, we can enjoy the gorgeous afternoon running around with mom under the pretty ribbons and lush trees. A Mother’s Day celebration for the books!